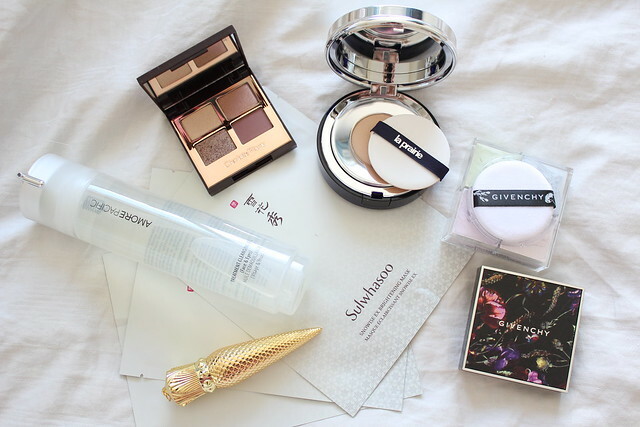 As a skincare fanatic, I’m always in the market to try out new skincare products. 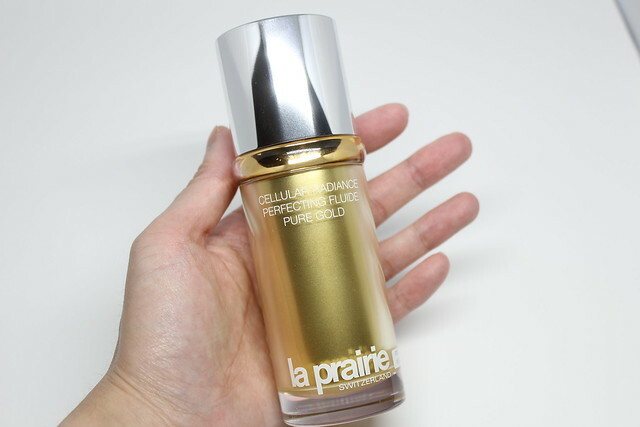 Most of the skincare products that I use and review average around $100, which is already pretty luxurious, but La Prairie blew my median out of the water with their new launch, the La Prairie Cellular Radiance Perfecting Fluide Pure Gold. 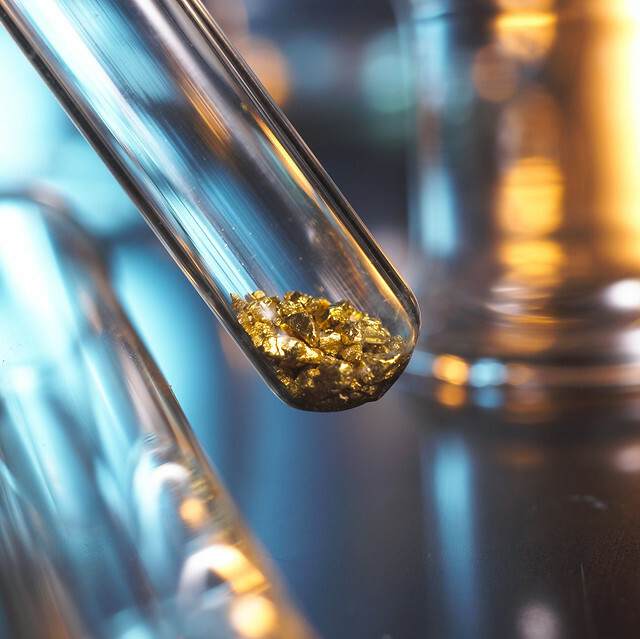 New for February 2016, the La Prairie Cellular Radiance Perfecting Fluide Pure Gold (C$670 for 40mL) claims to improve skin quality and texture from within; helps stimulate skin’s regenerative capacity and rejuvenates skin’s appearance; and softens the look of dark spots and enlarged pores. It contains real gold and diamond powder, as well as La Prairie’s signature and patented ingredients such as niacinamide (vitamin B3), ginger root extract, field horsetail extract, nicotiana sylvestris leaf cell culture, amino acids arganine and lysine, lotus extract, garden cress sprout extract, raspberry fruit extract, and a whole list of other plant extracts. These ingredients help to improve skin quality and increase radiance, reduces pigmentation of age spots, provide anti-wrinkle, anti-aging and energizing benefits, as well as decrease irritation. You use this as the last step to your moisturizing regime, before sunscreen, and it can also be used in conjunction with other moisturizers or facial oils. Now you’re probably thinking, for $670 it’d better be absolutely amazing. Well if you are a person who shops based on value then you can turn away now because La Prairie is a high end, luxury brand which produces luxury products for luxury prices. If your $15 or $50 or $100 cream works for you then there’s nothing I can say that will convince you to switch to La Prairie. My personal experience with this moisturizer has been very positive. 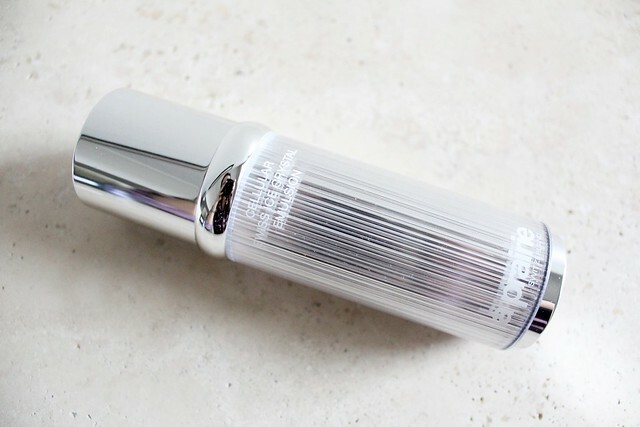 My initial impression is that the light gel-creme fluid texture is ultra lightweight and smells like the signature La Prairie powdery floral scent. The fluid contains suspended pearly and gold shimmer that mixes together and mostly It absorbs quickly, leaving a smooth, mattified finish. Despite being such a light fluid, my skin feels very comfortable and balanced. When used in the evenings, I wake up with my skin looking and feeling normal with no additional shine or random dry spots. When used during the day, the hydrating yet matte finish makes for a great base for foundation. My skin feels ultra smooth and my foundation also finished more matte than usual. I prefer using this during the day over using it at night because then I can take advantage of that great glow this moisturizer gives me. Now for the best part, i.e., what makes this moisturizer magical. A few minutes after I applied this fluid, I looked into the mirror and was surprised by my own reflection because my skin looked absolutely radiant. The gold from the fluid warmed up my skin and made it glow from within. It was a very natural-looking glow that isn’t cosmetic at all. If I had to point out any downsides, it’d be that if I was having a particularly dry day, this product wouldn’t be enough to keep my skin moisturized. 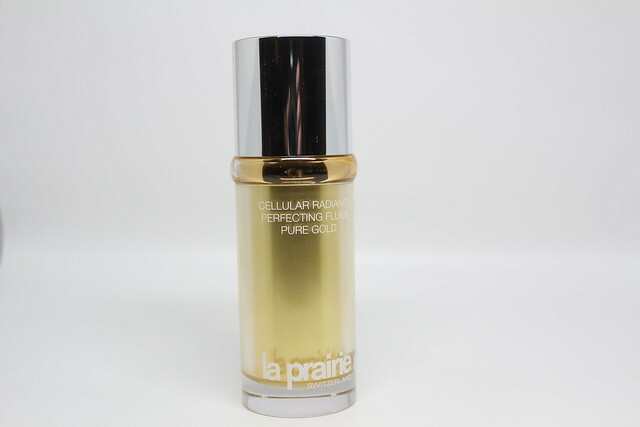 When this happens though, I mix in a few drops of facial oil, such as my La Prairie Cellular Swiss Ice Crystal Dry Oil (quick review below), and it gives this fluid a boost of moisturizing properties without sacrificing the radiance effect. In addition, the second ingredient on the list after water is dimethicone, which is a silicone. Over the years, I’ve learned to be okay with silicones in my skincare products, but with such a high end product, I would have preferred to see less fillers. In conclusion, would I recommend? Yes and no. If you are looking for a luxury skincare product that’s lightweight with skin perfecting properties, and you have the budget to shell out, then yes I do like this product. The ideal skin type to use this product without adding anything is normal, combination to oily, but if you have dry or dehydrated skin, then you may want to skip. Or you know, you don’t want to spend $700 on a single product. 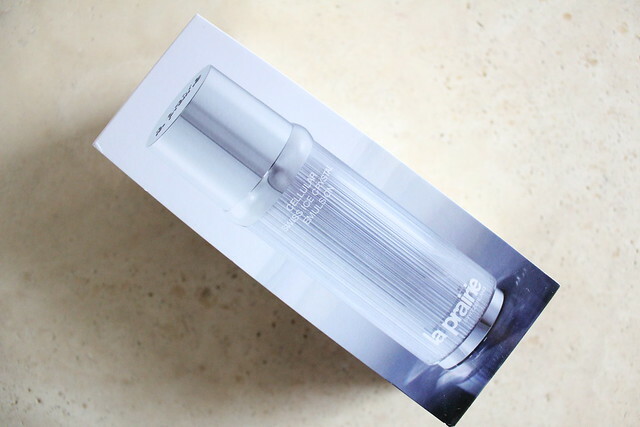 Because the products work so well together, I also wanted to do a quick review of the La Prairie Cellular Swiss Ice Crystal Dry Oil (C$385 for 30mL). I received a 5mL deluxe sample of this oil, which is actually perfect for me because I only use a few drop per application. 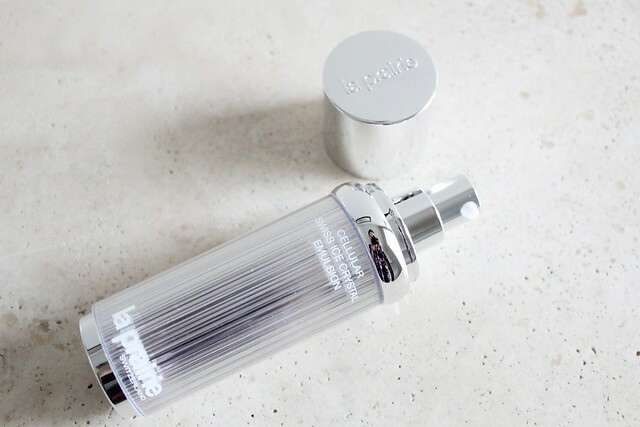 The first time I used this oil was in conjunction with the La Prairie White Caviar Illuminating Moisturizing Cream (which I thought was just meh on its own), and I woke up with incredibly soft, supple, and radiant skin. I was shocked at how good my skin looked with just a single drop of this oil. The Cellular Swiss Ice Crystal Dry Oil contains sweet almond oil as the main carrier oil, as well as sunflower seed oil, jojoba seed oil. The 11 ingredients that follow after the carrier oils are all essential extracts with no fillers. The oil is ultra refined, and despite its oil-nature, very lightweight and dries down extremely quickly with no greasy residue. This was the facial oil that made me realize I can indeed use facial oils on my face and it won’t become a giant greaseball! I’ve tried this out with a few La Prairie moisturizers and it works wonderfully with each of them. I’ve also used this with my non-La Prairie moisturizer and it also provides a boost of moisture, although I don’t feel like my skin looks as good as when I do pair it with a La Prairie moisturizer. This is a great supplementary skincare product when you want to maximize the efficacy of your other products. As a facial oil, you can use this on its own or with another product, and it’s a great introductory product into the world of La Prairie because the price is not as high as other La Prairie products but you still get that luxury experience. 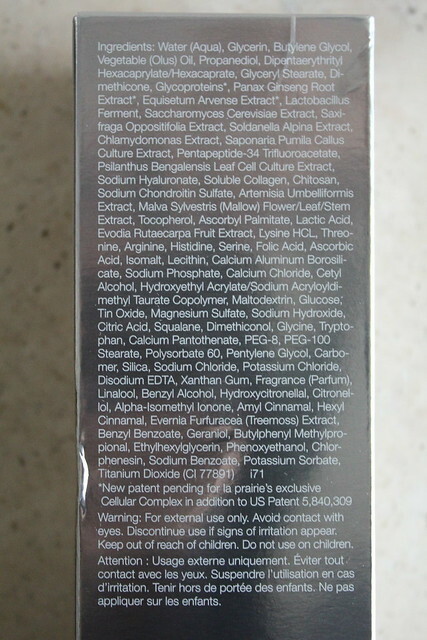 Ingredients of the La Prairie Cellular Swiss Ice Crystal Dry Oil: Prunus Amygdalus Dulcis (Sweet Almond) Oil, Helianthus Annuus (Sunflower Seed Oil), Simmondsia Chinensis (Jojoba) Seed Oil, Soldanella Alpina Extract, Saxifraga Oppositifolia Extract, Algae Extract, Calendula Officinalis Flower Extract, Rubus Idaeus Leaf Cell Culture, Ubiquinone, Gentiana Lutea Root Extract, Arnica Montana Flower Extract, Alchemilla Alpina Extract, Hippophae Rhamnoides Oil, Rosmarinus Officinalis (Rosemary) Leaf Extract, Silybum Marianum Ethyl Ester, C10-18 Triglycerides, Brassica Campestris (Rapeseed) Seed Oil, Rhodiola Rosea Root Extract, Tocopheryl Triglyceride, Fragrance (Parfum), Farnesol, Benzyl Salicylate, Eugenol, Butyphenyl Methylpropional, Geraniol, Benzyl Benzoate, Evernia Furfuracea (Treemoss) Extract, Hexyl Cinnamal, Amyl Cinnamal, Alpha-Isomethyl Ionone, Citronellol, Hydroxycitronellal, Benzyl Alcohol, Linalool, Phenoxyethanol. A few weeks ago, I had the opportunity to get a personalized skin consultation from the skin education specialists at La Prairie. At my age (mid to late 20s), I was recommended to use the Cellular Swiss Ice Crystal line to prevent the first signs of aging. All of La Prairie’s products contain their signature patented ingredient – the Cellular Complex – which provides nutrients such as glycoproteins, ginseng root, and horsetail extracts to revitalize, energize, and moisturize the skin. The ingredients are located near the top of the ingredients list (in the case of the Cellular Swiss Ice Crystal Emulsion, they are 10th-12th on the list) meaning you get a very good dose of these ingredients with every application. I was also fortunate enough to try the Anti-Aging Rapid Response Booster, which is new for April. Read my reviews on these products below! 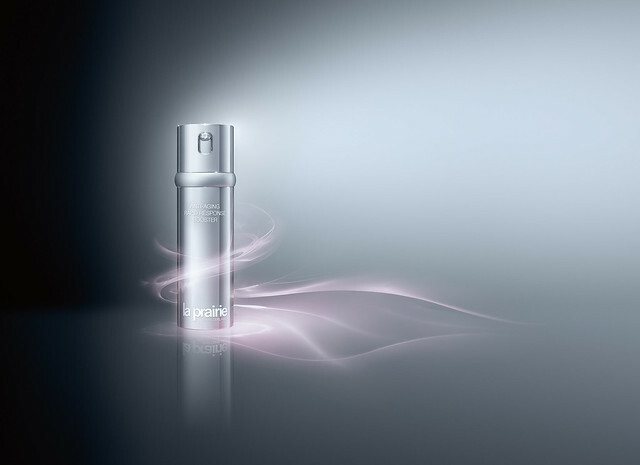 The La Prairie Cellular Swiss Ice Crystal Emulsion (C$365 for 50mL) is a preventative emulsion designed to address the first signs of aging, including the look of fatigue and stress, dullness, dryness and lines. 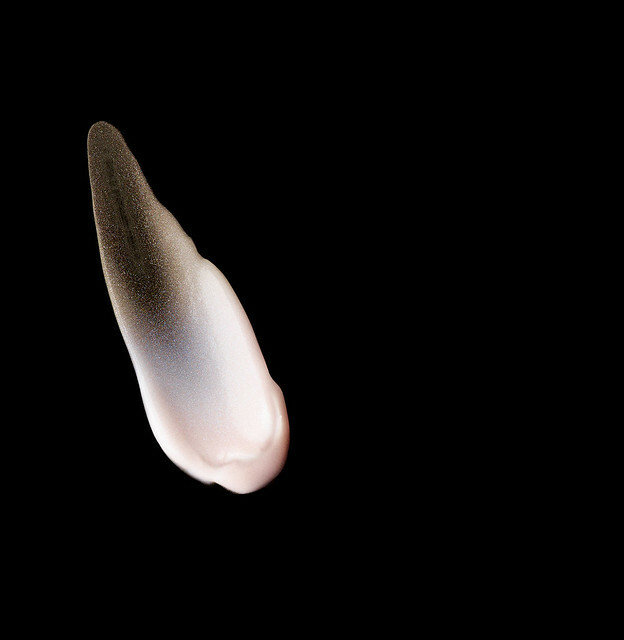 The texture is a light milky emulsion with a light powdery scent that dissipates almost immediately. Even though it is an emulsion, I found it to be highly hydrating without being heavy or greasy. The milky texture absorbs immediately into my skin, leaving it ready for sunscreen and foundation. As a preventative moisturizer, it is designed to slow down the signs of aging. I have noticed that my skin looks smoother and feels firmer after each application. I don’t yet have any wrinkles, but the hydrating properties help to prevent any deepening of fine lines that I may have. I’ve been using this in conjunction with the Cellular Swiss Ice Crystal Eye Cream, as well as the Anti-Aging Rapid Response Booster, and I’ve noticed that my skin looks more well rested in the morning after applying this at night. The only thing I dislike about this emulsion is that it contains micro shimmer particles in it. It is barely noticeable on the skin, but I can see the shimmer particles in the palm of my hands after each application. It’s not a complete dealbreaker, but I just prefer not to have make-up ingredients in my skincare. Another thing I want to point out is that the cream has very slightly cooling effect after application, which is where the “ice crystal” part of its name comes into play. It’s very, very mild and barely noticeable, but if you’re sensitive to things like that, you may want to keep this in mind. Overall, I really enjoy using this emulsion. It’s a preventative measure, which means I won’t see drastic effects right away, but I like that I am investing in my skin in the long term to prevent any future headache. 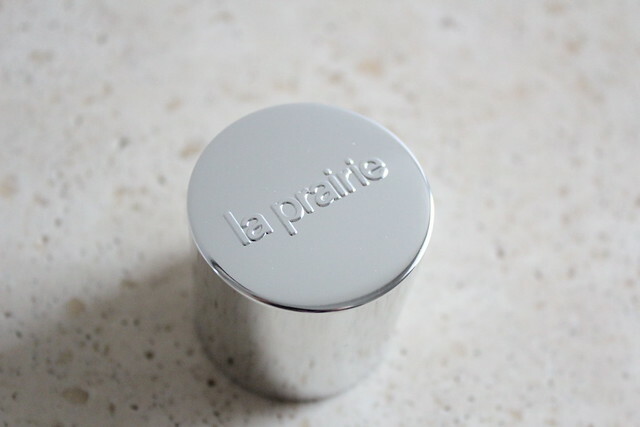 Also keep in mind that La Prairie is a luxury brand, therefore the prices will be reflective of this. 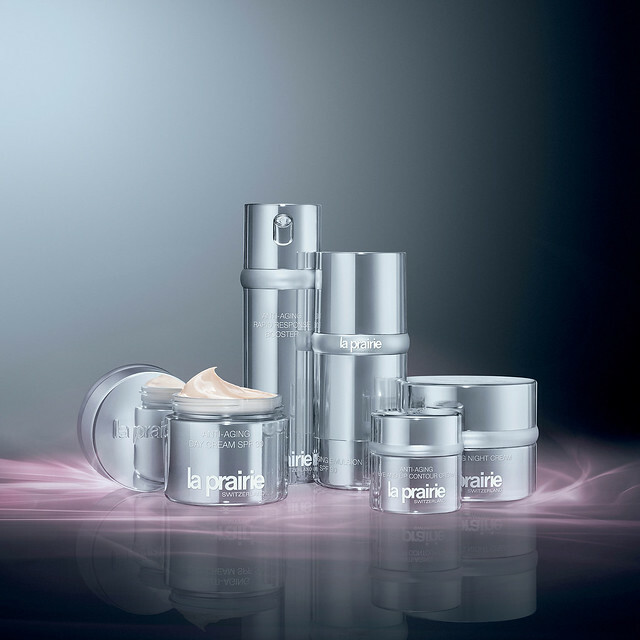 The La Prairie Cellular Swiss Ice Crystal Eye Cream (C$275 for 20mL) is the best eye cream I’ve ever used in my life. It is designed to treat dark circles, puffiness, dryness and lines with a lightweight cream formula. The texture of the eye cream is a smooth, lightly emollient cream formula that spreads out very easily on the eye area without tugging the skin, absorbs quickly with no residue, and leave the eye area feeling hydrating, and looking smooth and bright. I mostly use this in the evening for a high dose of moisture, but I also use a little bit of it in the morning if I need a pick-me-up. It works great underneath make-up as well, creating a smooth canvas that helps makeup adhere, but it’s not too emollient in that make-up won’t slide around. The best thing I love about this eye cream is that I have these deep smile lines underneath each of my eyes and this is the only eye cream that I’ve used that has noticeably smoothed out those two deep lines. The first time I used it, I was seriously wowed by how amazingly this works. I highly, highly recommend this eye cream. After years of trying to find a good eye cream that’s effective to “cure” those pesky lines underneath my eyes, this is the only one that I’ve use that really helped to treat and improve my eye area. The La Prairie Anti-Aging Rapid Response Booster (C$290 for 50mL) is an all-in-one serum that helps to target signs of aging such as fine lines and wrinkles, enlarged pores, skin texture, and overall improving the look of the skin. It has the texture of a lightweight gel serum that absorbs quickly into the skin and leaving the skin feeling ultra smooth. Again, for me this is a preventative product so I haven’t noticed any significant changes to my skin. I feel like if you were older and had more skin concerns, you’d notice more improvements, whereas I’ve mostly just been using it for the hydrating and smoothing properties. I do really like the texture as it is very lightweight and feels lovely on the skin. I was very fortunate to have had the opportunity to visit the La Prairie counter at Holt Renfrew Vancouver to receive a personalized skin consultation, and to meet with Elizabeth Lamont, VP of Marketing, to talk skincare, brand strategy, and all things La Prairie. 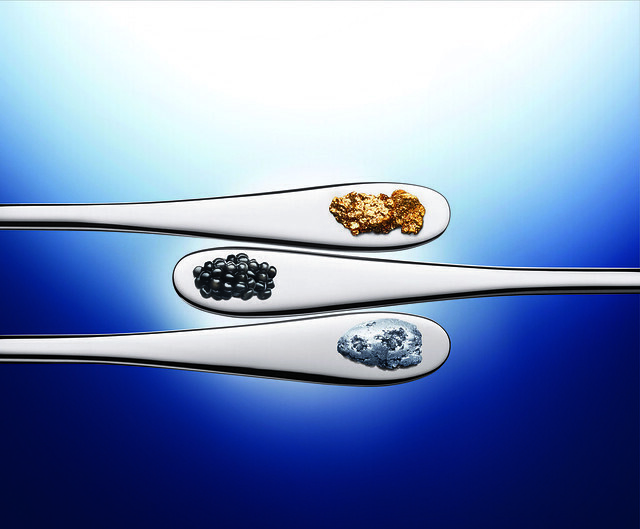 Since its inception in the Swiss Alps, all of La Prairie’s products contain its signature patented ingredient – the Cellular Complex – which provides nutrients such as glycoproteins, ginseng root, and horsetail extracts to revitalize, energize, and moisturize the skin. 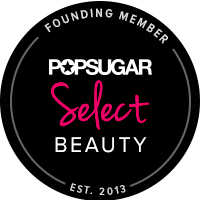 The brand innovates in the skincare industry by using the latest biotechnology and top-of-the-line ingredients to create products that are effective, without all the fillers. I’ve heard a lot about La Prairie in the last few years. I used to fly a lot, and I’d always notice the giant La Prairie posters hanging inside airports as well as the products at duty free shops. However, it wasn’t until my visit to the counter that I actually touched the product for the first time. 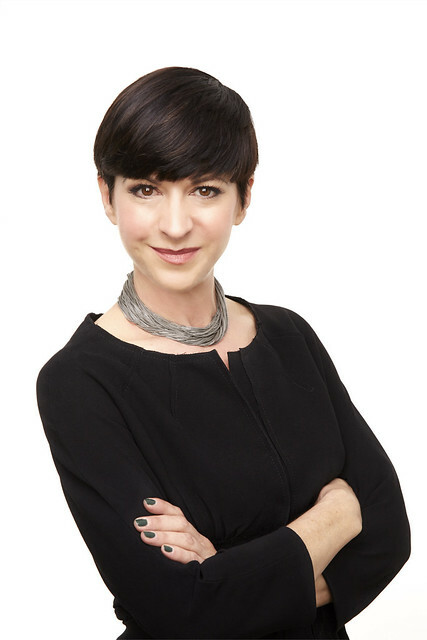 Holt Renfrew Vancouver was playing host to Becky Watkins, La Prairie’s Director of Education, and her team, and I was lucky to get an appointment to meet the team. I met with Juan from the education team, who sat down with me to talk through my main skin concerns before recommending some La Prairie products to address those concerns. I’m finding that my skin concerns have changed significantly as I am getting older. I used to have moderate to severe acne in high school and in the first few years of university, and I was also certain that my skin was combination-oily. As I got older, my skin has turned to become extremely dehydrated, yet still combination on my T-zone. Due to stress, my skin was also losing luminosity and looks dull on most days. Because of these concerns, Juan recommended two of La Prairie’s skincare lines to help address my concerns as well as to help improve the quality of my skin. The two ranges I was recommended to use were the Cellular Swiss Ice Crystal line, to moisturize and combat the first signs of aging; and the White Caviar line, to bring luminosity back to my skin. Specifically, Juan recommended a mix and match of the products in these ranges to help address my particular skin concerns. I was told to use the White Caviar Illuminating Serum after cleansing for optimal penetration of the potent active ingredients into my skin, then to follow that up with either the Cellular Swiss Ice Crystal Dry Oil by itself (which contains a blend of botanical oils to help replenish moisture and protect the skin’s barrier), or mixed 1-2 drops of the oil with the White Caviar Illuminating Moisture Cream (a moisturizer with brightening ingredients). For my eye area, I was directed to use the Cellular Swiss Ice Crystal Eye Cream (new as of February, 2015), which will help to hydrate my eye area, smooth out any existing fine lines, and also protect against future signs of aging. Following my meeting with Juan, I was also offered the opportunity to meet with Elizabeth Lamont, the VP of Marketing at La Prairie. Elizabeth is one of the most graceful women I’ve ever met; she is also very down to earth, friendly, and passionate about the brand. She describes having worked in the cosmetics industry since 1987, and joked that it was before I was even born. Her first job in the beauty industry was as a beauty advisor at Clinique, and since then she’s work on the PR agency side, as well as in-house doing public relations and marketing, before landing her current role with La Prairie. I also notice that Elizabeth has amazing, glowing skin, and it doesn’t look like she’s wearing much makeup either. 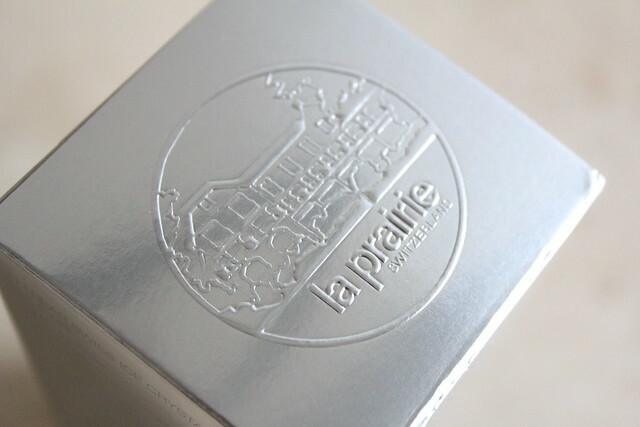 With regards to the current strategy and direction of the brand, Elizabeth describes that La Prairie has become more focused on print media and magazines in reaching its target audience. 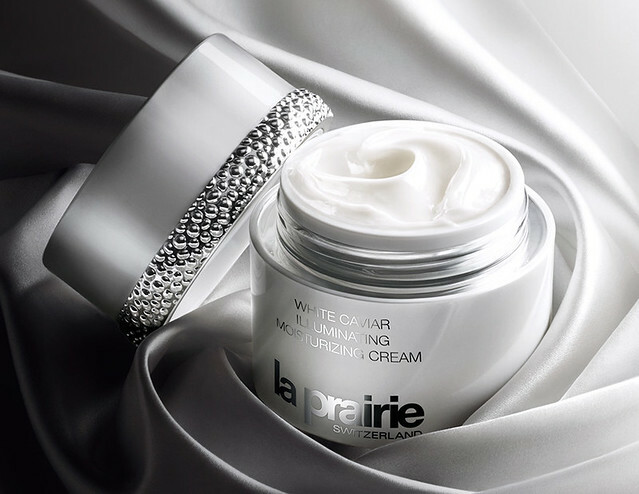 The bulk of La Prairie’s clients are still in the older, age 40+ generation, and that demographic still relies heavily on print media over digital. She states that many of La Prairie’s core customers have used the products for many years and are very loyal to the brand; they sometimes go and try out products from other brands but ultimately return to La Prairie because they’ve found the products to be the best at what they do. Elizabeth also describes that it’s very rewarding when she sees mother-and-daughter duos show up at the counter together, where the mother is introducing her favourite introductory La Prairie products to her daughter, in almost like a “passing of the torch” manner. Lastly, she’s noticed that there’s been a shift in the brand’s customer demographic, especially in the Vancouver market, as many of the younger generations now have more disposable income and are willing to spend it on luxury products to take care of their skin. As for her favourite products, Elizabeth says she can’t live without the Anti-Aging Rapid Response Booster, an all-in-one anti-aging, pore-smoothing, line-reducing gel-serum; the Cellular Swiss Ice Crystal Dry Oil; and the Skin Caviar Luxe Sleep Mask, a brush-on night-time firming and moisture mask. Her favourite night-time routine is to combine a few drops of the Cellular Swiss Ice Crystal Dry Oil with the Skin Caviar Luxe Sleep Mask, brush it on the skin, and just go to bed, without having to wait 10 minutes for the mask to set before washing or tissuing it off. The result is waking up with beautiful, glowing, and firm skin. 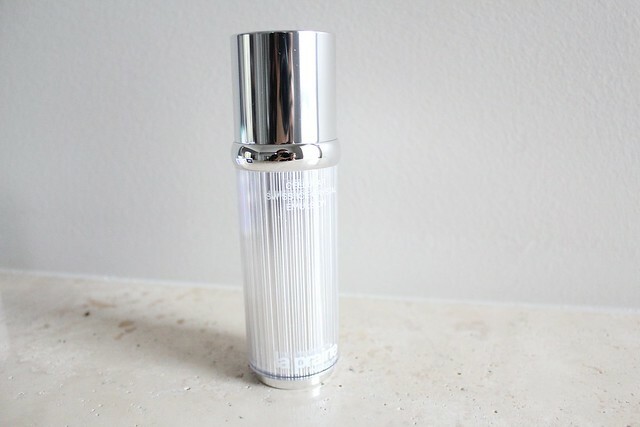 In addition to skincare, I’ve learned during my time at the counter that La Prairie also has a tightly curated collection of makeup products which include base and colour products. The makeup collection contains classic tones that look great on everyone, and also have skincare properties due to the presence of the Cellular Complex in all of the products. While it is a luxury line, just looking at Elizabeth’s glowing skin is enough proof that the products work. If you’ve never had the chance to try La Prairie products for yourself, they offer samples at their counters for any new and existing clients who want to expand their skincare arsenal and branch out to try new things. 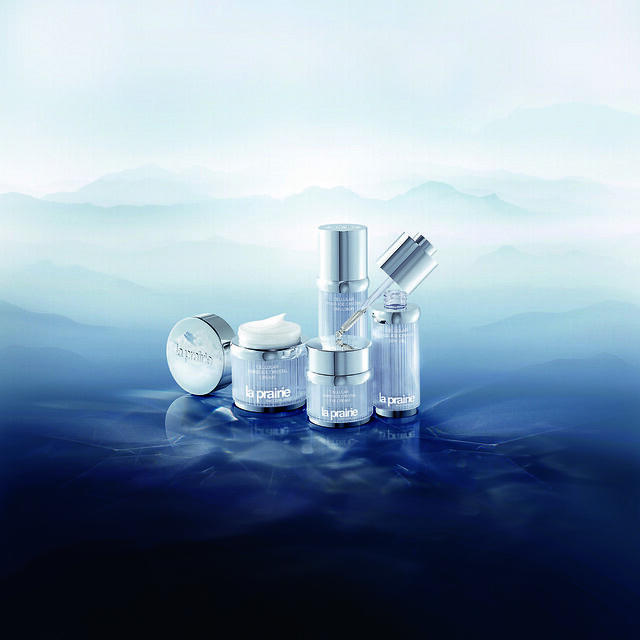 La Prairie is available at select Holt Renfrew and Nordstrom locations across Canada. If you’re in Vancouver, be sure to ask for Fiona as she is an absolute sweetheart and is super helpful.